A White And Red Silk Rose And Carnation Sits Atop A Wadding Of Luxurious, Flowing Silk Material. Royalty Free Fotografie A Reklamní Fotografie. Image 40806931. 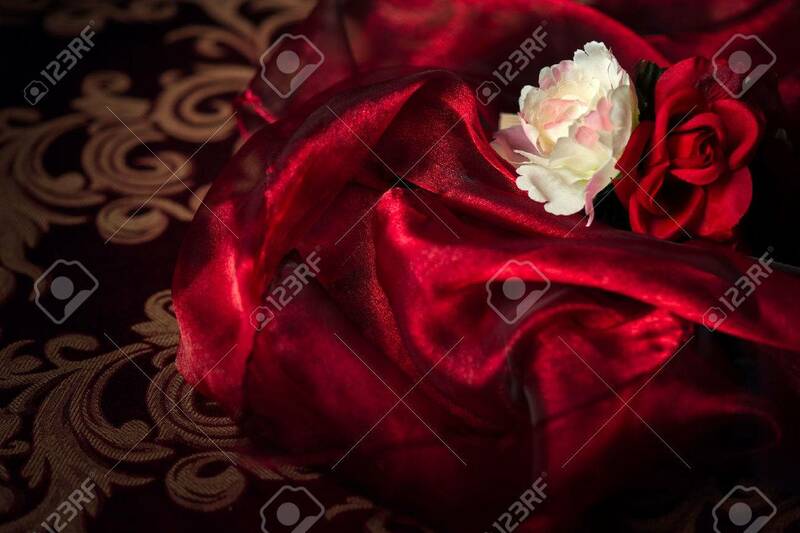 Reklamní fotografie - A white and red silk rose and carnation sits atop a wadding of luxurious, flowing silk material. A white and red silk rose and carnation sits atop a wadding of luxurious, flowing silk material.